Once a week, I rise very, very early in the morning with my husband to take him to his carpool so that I can keep the car for the day — this, of course, the life of single-car-sharing city dwellers who’ve had a bike stolen. But that is beside the point: dear reader, do you know how early teachers wake up? I’m sure I never appreciated this sacrifice made for my educational experience. On some of these early mornings, I’m enchanted by the dark city, lit by headlights and flickering street lamps and, at this time of year, the twinkly strands on the cluster of evergreens perched atop the nearby cathedral. The quiet murmur of dedicated runners and old men meeting at coffee shops and early risers en route to work hangs over the city, peaceful and comforting in its normalcy. Other mornings, however, I am not at all enchanted. Yesterday, for example. 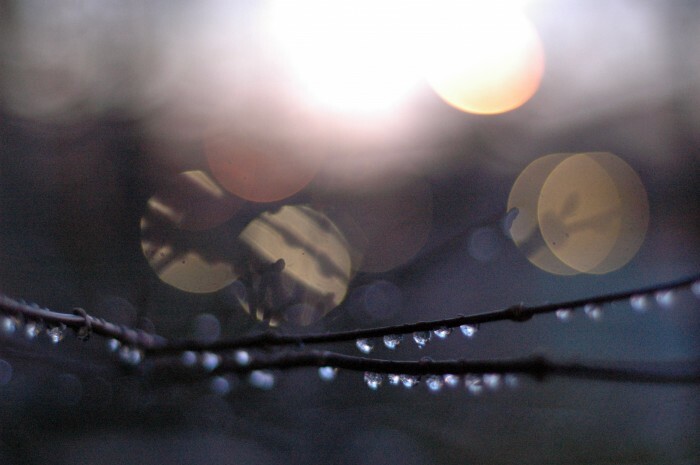 Fat raindrops pounded the windshield as I worried about the day and my life, sinking into my coat and struggling to keep my sleepy eyes open. But thankfully, this feeling doesn’t last, at least not for long, at least not on good days. Back at home, I sat at the table as the sun crept slowly up, pushing its light into the still-rainy sky from where it emerged at the horizon. Our Christmas tree, tiny in size but mighty in spirit, adorned with colored lights and cheery ornaments, beamed at me from the corner — begging me to just be happy, reminding me of hope. And Christmastime, I think, is exactly that: a reminder of hope, a promise that it will be okay, a glimmer of some kind of goodness amid that which is not all that good. Because we know, when we look around or into ourselves, that everything is not okay. It’s not okay that I sit in my warm home while someone else rummages through the recycling bins in the pouring rain with hopes of filling an empty stomach. It’s not okay that people suffer loss and things fall apart and we hurt one another and the world is broken. But Christmas reminds us that someday things will be right, and in the meantime, there is hope, and even cause for celebration. And so we see it: a twinkling Christmas tree, friendship and family and merriment, cookies and candied walnuts, a promise that all shall be well. All this because of a little baby come to earth. So in the name of celebration and joy, here’s something to tuck into a jar as a gift for a loved one, to have at hand for friends stopping by unexpectedly or to place on the table at your next festive gathering. I gave these walnuts as gifts and served them at a party last year, and they are making still further appearances this year — they are that good, and that seasonally appropriate. The walnuts are sweet and crunchy, with a savory note from the rosemary, a bit of interest from the figs and the perfect kick of salt. And so it begins! Merry Christmastime, my friends. Preheat the oven to 300 degrees. Line two baking sheets with parchment paper. In a small bowl, combine the brown sugar, salt, rosemary and sesame seeds. In a large bowl, whisk the egg whites to loosen them slightly. 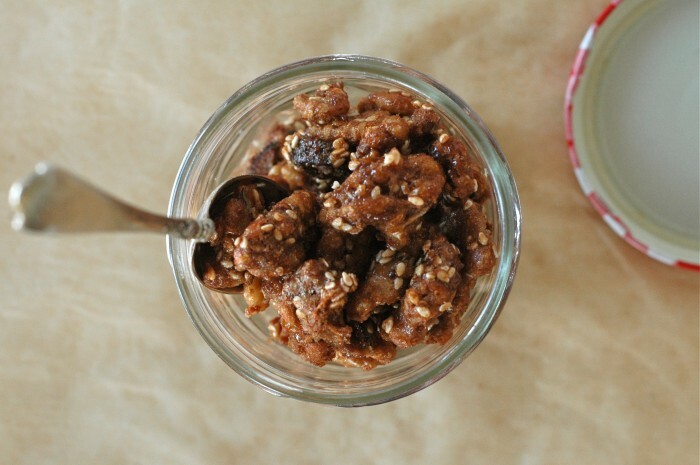 Add the walnuts and figs; toss until they are evenly coated. Add the sugar-spice mixture and toss thoroughly. Spread the walnuts on the two prepared baking sheets, separating them as much as possible and keeping them in a single layer. Bake for about 30 minutes, or until the walnuts are golden and the coating is no longer wet. Let cool for a few minutes, then slide the parchment (and walnuts) off of the hot baking sheets to finish cooling. 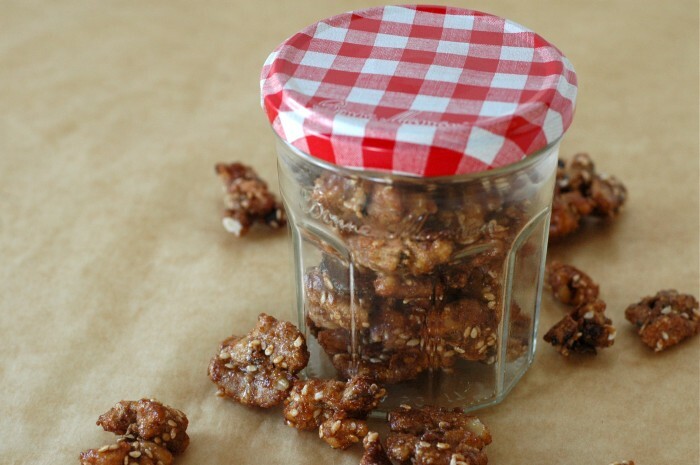 Once they have cooled completely, the walnuts can be kept in an airtight container for about a week. This post is so lovely. You are spot on with your thoughts on holiday time creating a warm bubble of hope for so many. I think part of the reason people go crazy (so crazy!) about everything this time of year is the idea that everything can be right with the world and that we can all be okay, whether those things are fully realized or not. And I love your sweet little Christmas tree. 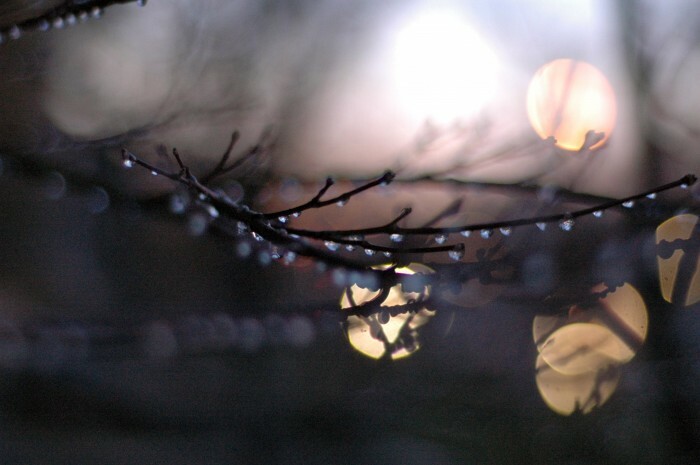 And those early morning twinkly, rain drop photos. 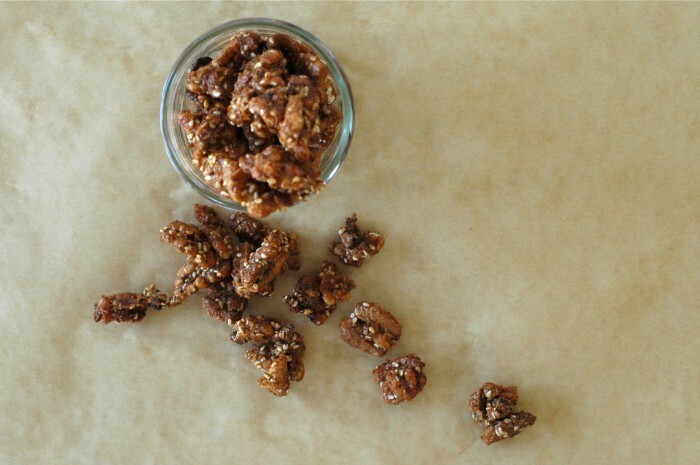 And these brown sugar walnuts. So good! This is so encouraging. Thanks for your thoughtfulness and beautiful imagery, xo. My tree is begging me to calm the f— down. It’s like, hey, I’m a sappy, fragrant tree with lights in your living room, absorb these moments because I’ll be gone soon and life will feel less twinkly and okay. Thanks for the reminder, Stacy. 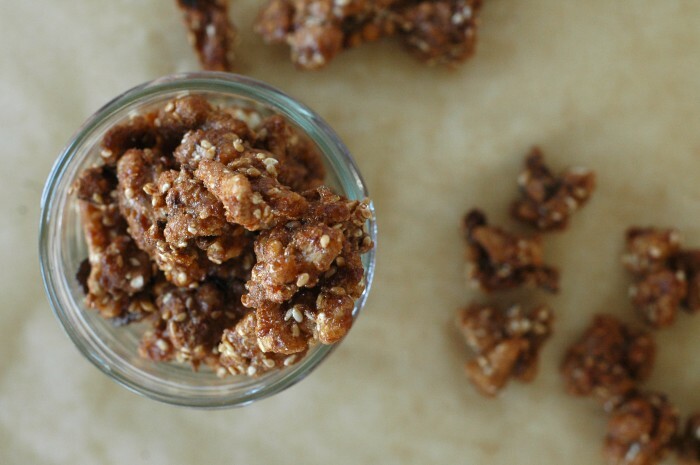 And also, I would very much like to make these walnuts soon, or, today. Yes. Today. It will be done. Happy and merry and bright days to you, my friend.